Good evening from Beijing! We had a great first day. Today was a site seeing day. 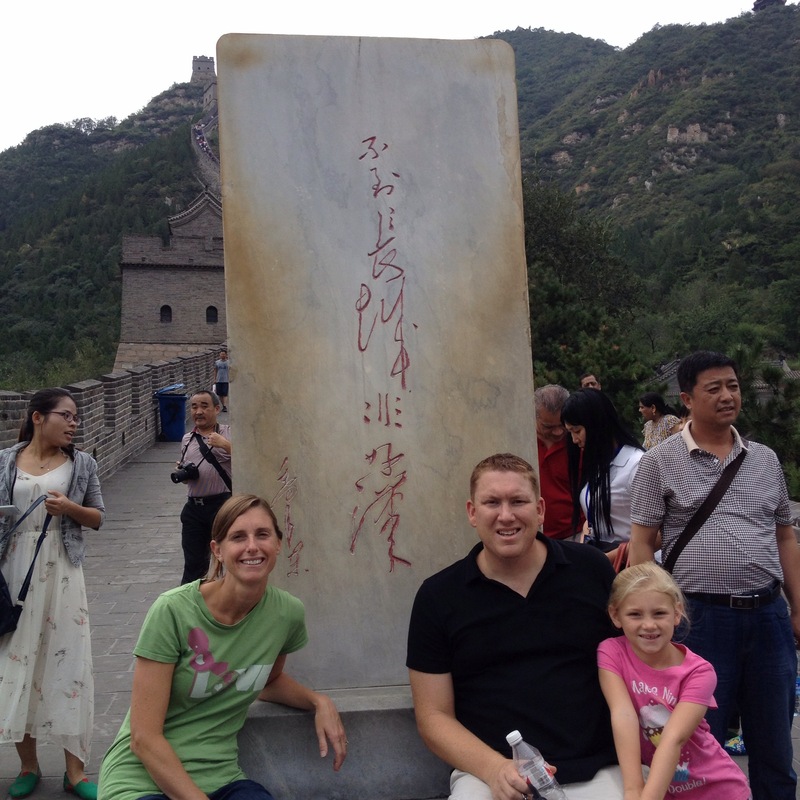 We saw The Great Wall, which was incredible and a lot of steep stairs. There were quite a few people gasping for air as we climbed the steps of the wall. While there are plenty of miles of flat surface on the top of the wall- we climbed the seep part! Tomorrow is another day of site seeing and then Sunday we travel to Malachi’s province. We appreciate your continued prayers!